Dr. Tofu Ono is the local chiropractor and often helps Akane and Ranma when they have bumps, bruises or dislocated joints from their many fights. He is very knowledgeable about martial arts techniques although he is never seen practicing. He helps Ranma discover a cure for Happosai's "moxibustion", and Cologne's "full body cat's tongue" techniques. Dr. Tofu is also deeply in love with Kasumi Tendo. In fact, whenever he is in her presence, his glasses fog over and he becomes nervous. He has injured quite a few of his patients when this happens. Dr. Tofu is well liked in the community and has many older clients. 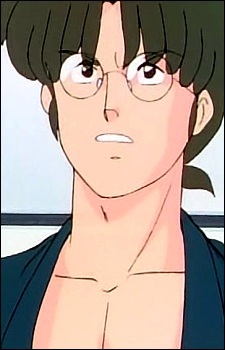 For a time he employed both Genma Saotome and Shampoo as assistants. He is often seen in the company of his skeleton, Betty, which he carries and moves as if it were a real person. At one time Akane had a crush on Dr. Tofu and he would often give her advice and support.